It is May and in 2018 that means it is time for Commencement. 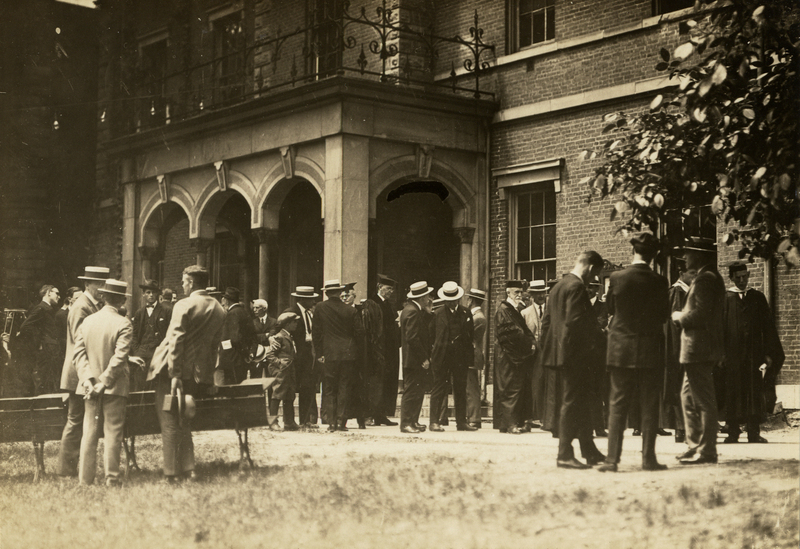 Let’s go back nearly a century and have a look at some fabulous pictures from the Commencement of June 1923. In the photograph above we see the members of the faculty and Board of Trustees preparing for the procession into the ceremony. In the center of this image, standing right at the limestone column and facing us is Thomas Riley Marshall, former Vice President of the United States and member of the class of 1873. 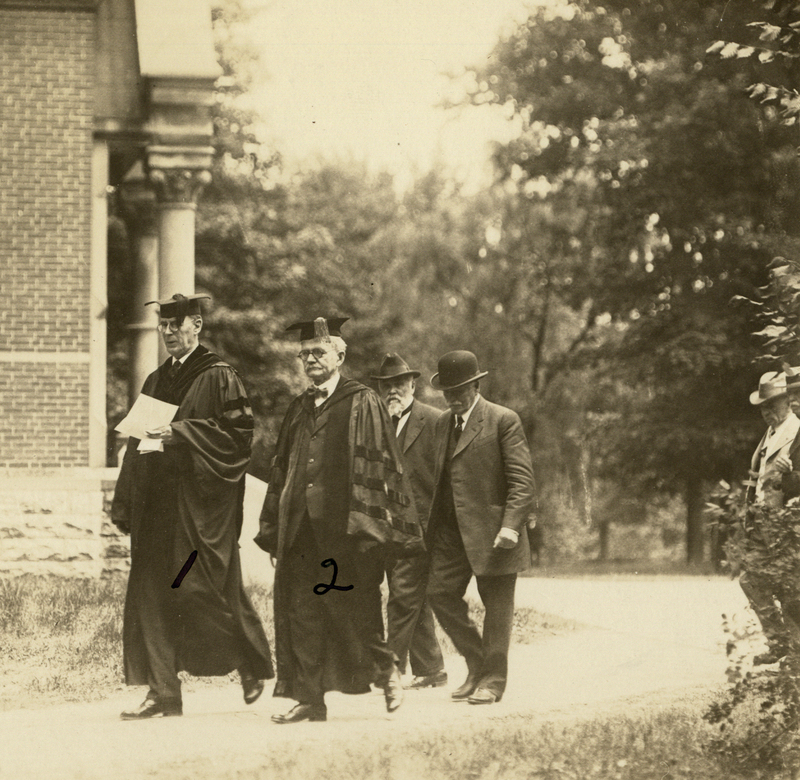 Marshall served on the Board of Trustees for many years and was the commencement speaker for 1923. Just to the right is a tall fellow in academic regalia, that is President Mackintosh. Another view of the scene. 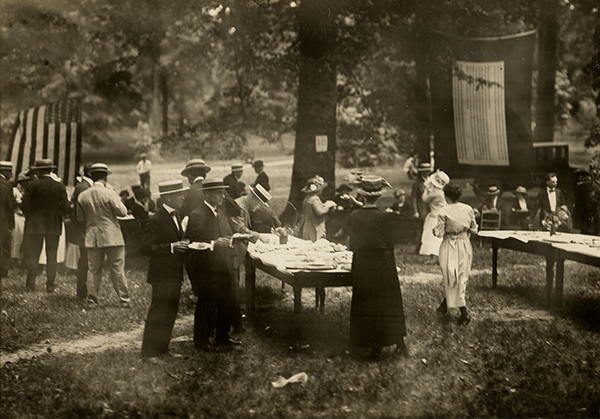 In the picture above we see folks lined up and in the center-left a small group at a bench. 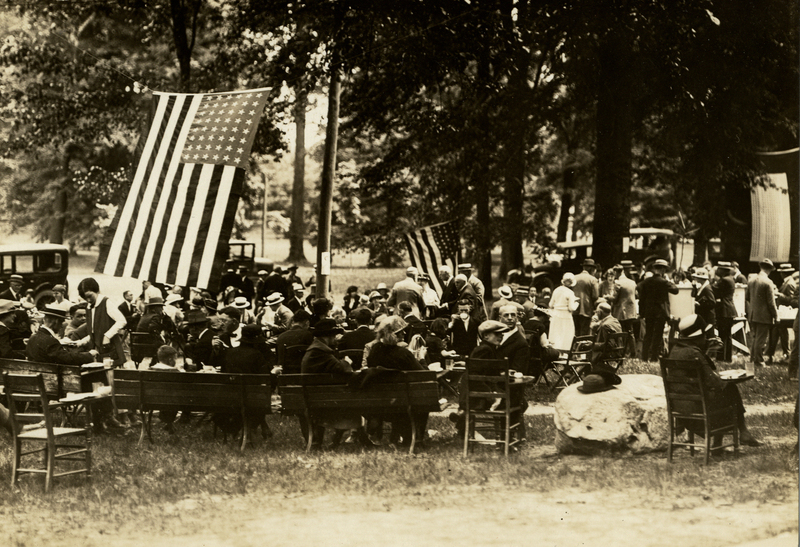 Zoom in and facing us is a very young Lloyd B. Howell, Wabash class of 1909. 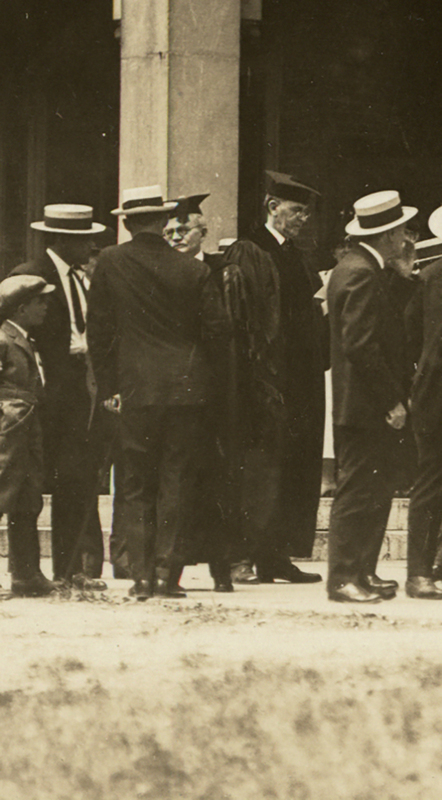 As you can see, he is not in academic regalia as he joined the faculty a year later, in 1924. A fixture of the 20th century sciences at Wabash, Doc Howell taught for 35 years, until 1959. Off they go to the ceremony. 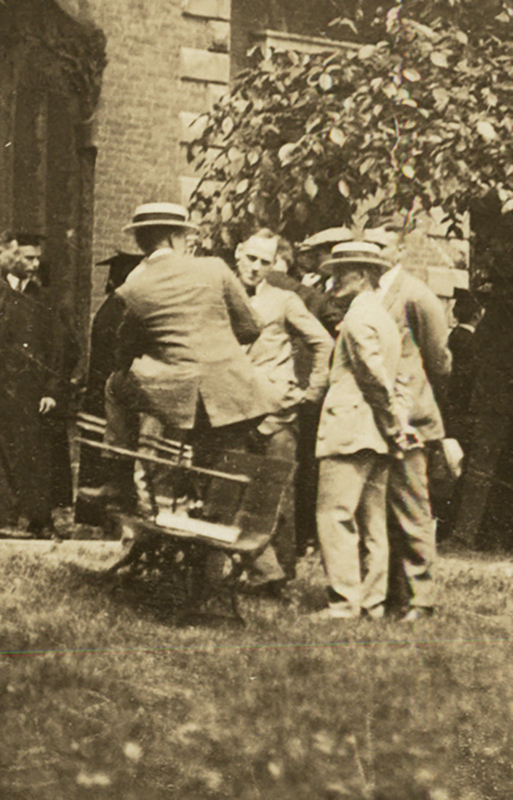 These pictures are marked with numbers, #1 is President Mackintosh or Doc Mack, as he was fondly known to students. Beside him is #2 Vice President Marshall. and following closely is the beginning of the alumni procession with the oldest class first. Across the mall and headed toward the gymnasium. 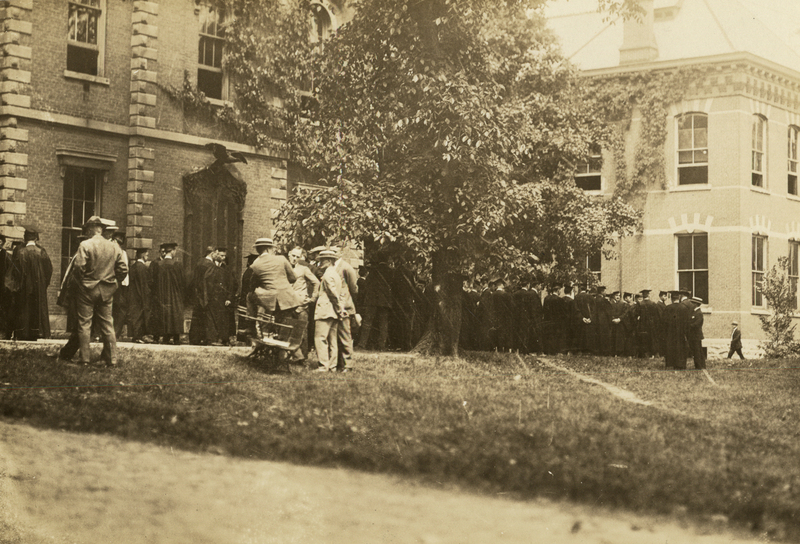 The men in the middle are members of the Board of Trustees, then Mackintosh and Marshall and then the alumni procession in class year order. Back before the Big Bash, alumni reunions were at Commencement. This is the gym, still fairly new at that point. 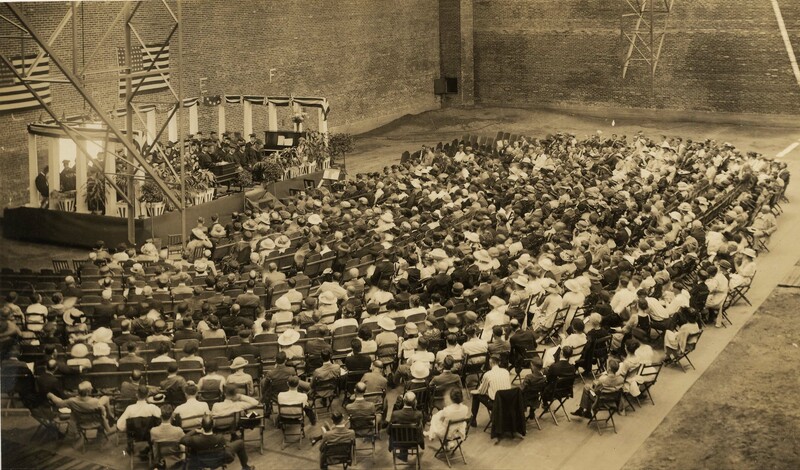 You may note that surrounding the floor where the crowd is sitting is what appears to be dirt. The gym when built was all a dirt floor. The wooden part was the basketball floor, put down for the season, or special occasions, but which could be removed. 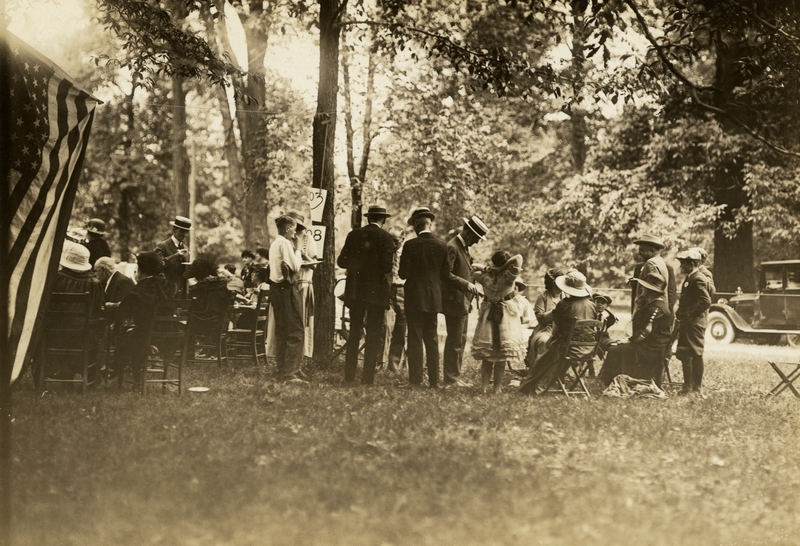 After the granting of degrees and the speechmaking are over, a picnic in the Arboretum was next. 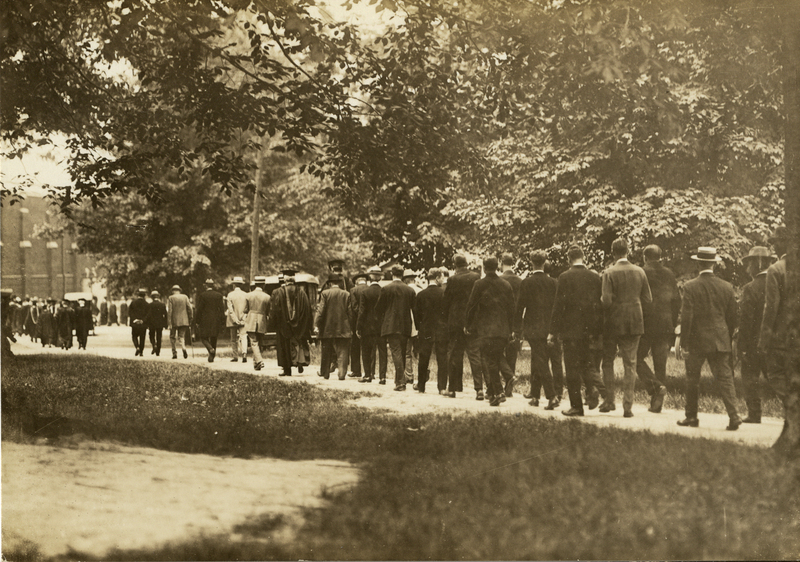 Look closely and see the class years attached to the trees, guiding alums to their spots. 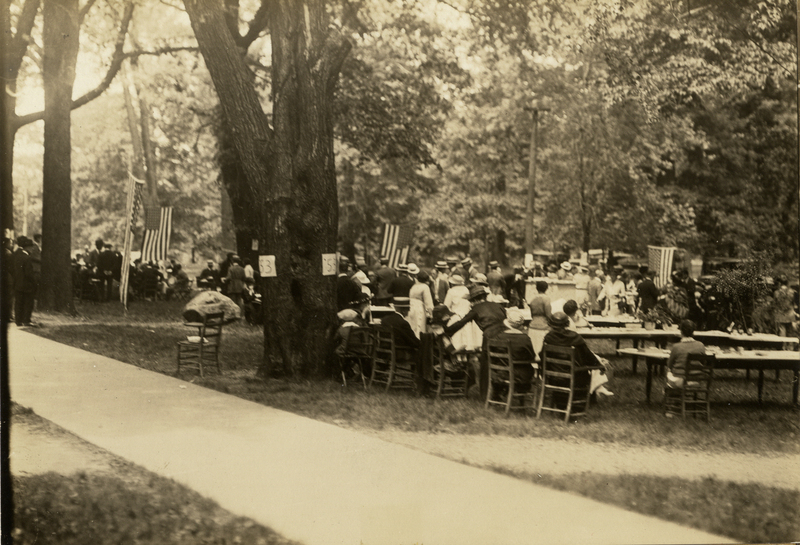 In the photos above we see the flags hanging in the trees. 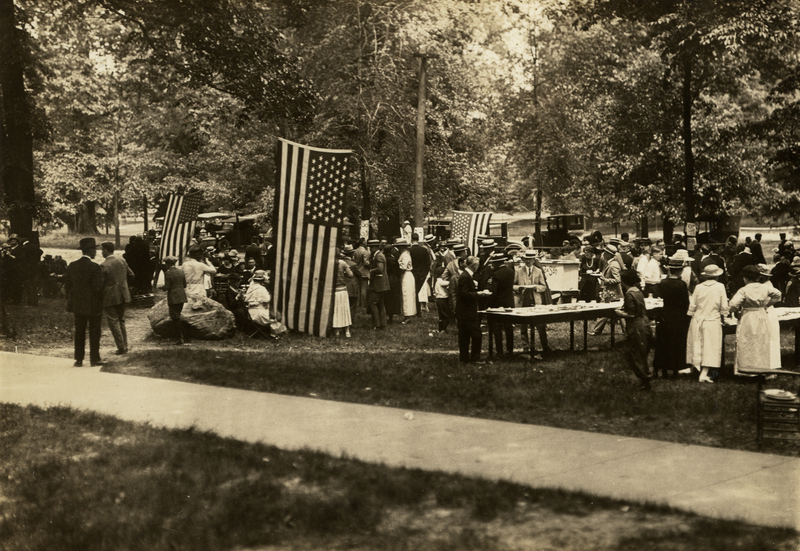 The large flag at the upper right of this picture is the WWI service flag with a star to note each Wabash man who served. All in all quite a festive scene. So here’s to the Class of 1923 and their big day, 95 years later. And here’s to the Class of 2018, may their years be prosperous and their lives be long!